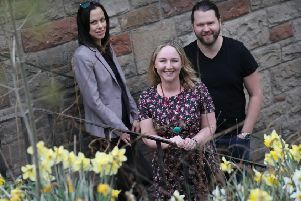 The Edinburgh-headquartered asset manager has helped to launch the Scotland chapter of the Diversity Project, which aims to accelerate progress toward a more inclusive culture in the investment and savings sectors across all demographics, including gender, ethnicity, sexual orientation, age and disability. It also hopes to enhance the financial services industry brand within higher education institutions. The project seeks to bring together financial and professional services experts from across Scotland to share best practice and commit to having company-specific agendas in place to promote diversity and inclusion. 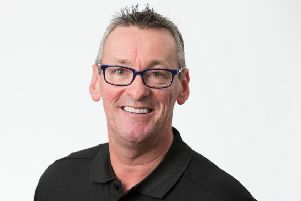 The founding members of the project’s Scotland chapter include ABI, Baillie Gifford, CBI, Franklin Templeton, Gen Analytics, KPMG, Investment 2020, Law Society Scotland, Lothian Pension Fund, Martin Currie, Morgan Stanley, Pinsent Masons, PwC, Royal Bank of Scotland, Royal London, Scottish Widows, Zurich, YSC. Edinburgh and Glasgow make up the second largest centre for financial and professional services in the UK, outside London. Lynne Connolly, chair of the Scotland chapter and head of diversity and inclusion at Standard Life Aberdeen, said: “Significant progress comes from collaboration. I know we will progress more quickly and sustainably in Scotland by working together across our industry. Dame Helena Morrissey, founder of the Diversity Project, said: “It’s exciting to see the launch of a Diversity Project chapter in Scotland with such great leadership from Standard Life Aberdeen and support from so many founding members. “I’m a firm believer in decisions and actions being taken locally – they are more likely to reflect what really needs to be done and so yield results.